Lars Mårdalen has served as Chief Financial Officer since 2016. Prior to joining Gram Car Carriers Mr. Mårdalen worked 9 years as Senior Vice President, Head of Treasury & Corporate Finance, at Höegh LNG AS, and prior to that as Finance Manager within Shipping and Offshore at Kistefos. Mr. Mårdalen holds a Master of Science from the Norwegian School of Economics and Business Administration (NHH). Educated at the Norwegian School of Business Management (BI). Ferdinand Bohne joined Gram Car Carriers AS in 2010. He is responsible for the daily management of the fleet including relations to Charterers, insurance matters and market analysis. He stayed 3 years in Singapore working for the Holding Company, before returning to Oslo in 2016. Master of Arts from St. Andrews University (1999) in Scotland and a MBA from Instituto de Empresa (2004) in Spain. Mas Gram has worked for Tankers international (The VLCC pool) and Tufton Oceanic (Fund Management company) in London, and most recently for Pareto Securities (Corporate Finance) in Singapore. He joined GCC Holdings Pte Ltd in Singapore in September 2011, and moved back to Norway in 2013 to work for Gram Car Carriers AS. Educated at Norwegian School of Business Management (BI) (siv.øk). Birgitta Balstad was previously Chief Accountant at Scandic Hotels, KNA Oslo, and at Nemo Engineering AS. She has been with P. D. Gram & Co. AS since 2001. Educated at the Norwegian School of Business Management. Camilla Strømstad started as an accountant at P. D. Gram & Co. AS in 1988. She is currently based in Cyprus as head of P.D. Gram Management Ltd Limasol. Educated at Wang private school in Oslo, and presently part time student at Norwegian School of Business Management (BI). Jeanette Lauritzen has been with P. D. Gram & Co. AS since 2001. Graduated from Tunghai University in Taiwan and obtained a BBA, Janet Lui has more than 15 years experience in public listed companies and MNC in Singapore. She was with COSL Drilling Singapore Pte Ltd (formerly known as Awilco Offshore Singapore Pte Ltd) before joining Gram Car Carriers Holding Pte Ltd in November 2009. Belinda Neo have acquired book-keeping certificate in Singapore and have more than 18 years of working experience in the accounting department of local public listed companies. She joined Gram Car Carriers Holdings Pte Ltd in 2011, and performing various functions such as payment processing, debt collection, and payroll processing. Graduated from University of London, Chan Sin Yee has 4 years experiance in public accounting firm and MNC in Singapore. She joined Gram Car Carriers Holdings Pte Ltd in January 2014. 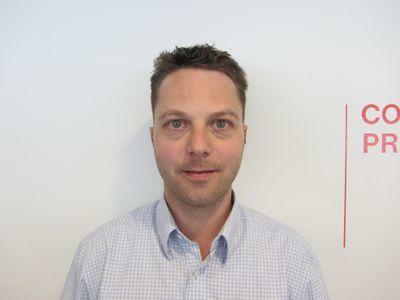 Mr. Mehus holds a degree in Marine Engineering from Vestfold University College in Norway. His most recent position was as Project Manager in Oceansaver, and prior to this he has been with BW, NSSR and Höegh Fleet Services on shore, and with RCCL at sea. Educated at Vilnius Gediminas Tehcnical University and holds a bachelor degree in Civil Engineering. She has in addition studied accounting at Reaktorskolen in Oslo. Aleksandra joined Gram Car Carriers AS in 2013. Geri Dyngvold joined Gram Car Carriers in Oslo in 2016. He has previously work as Technical Superintendent with BW Gas, worked for Class NK, Höegh LNG and Höegh Fleet Services. He started his career sailing with Mosvold Shipping AS. Jan Toth joined Gram Car Carriers in Oslo in 2015. Jan came from a position as Technical Superintendent in Hoegh Fleet Services AS. He started his sailing carreer with Havtor in 1982, and was Chief Engineer in Hoegh when he went ashore in 1997. The last 15 years he has been technical superintendent for Hoegh’s PCTC fleet. Educated at the Norwegian School of Business Management (BI). Karl Terjesen joined HUAL AS in 1980 in the business department. From 1983 to 1987 he was stationed in Saudi Arabia and Japan. After he returned, he held different positions in the company (later renamed Hoegh Autoliners AS) and was appointed President in 2000. Holding this position until he left the company at the end of 2005. Gram Car Carriers Holdings Pte Ltd.